While working on the many projects at the Shangrila Handicraft Center over the past five years, my commitment to understanding the issues that the people of Shangrila face continues to grow as tourism, industry, and modernization bring new challenges. Ethnically diverse, these families live in peace together, guardians of the beautiful mountains inherited from generations before them. The pace of transformation is moving quickly. With it, come changes which challenge traditional lifestyle, environment and cultural heritage. An area with one of the lowest per capita incomes in China, creating opportunities for income generation in harmony with traditions and environment is essential. By supporting business opportunities in fields such as traditional hand crafted arts and in projects such as beekeeping, and by creating international partnerships and educational activities, YMHF provides culturally sensitive and environmentally sustainable choices. These are choices allow for personal and social growth while honoring local customs and the land these communities call home. Come! Visit us at the Shangrila Handicraft Center we will welcome you to enchanting Shangrila! The Shangrila Handicraft Center participated in the seventh annual International Folk Art Market in July this year. With support from the Folk Art Market, Yixi, wood craft master from Benzilan near Shangrila and Jenny Wong, YMHF program manager (interpreter for Yixi) joined me in Santa Fe. The Handicraft Center goes International! Last year we reported on the initiation of the Sister City partnership with Anatolian village, Kemaliye, in eastern Turkey. 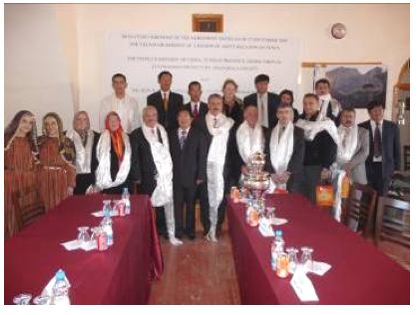 YMHF arranged the invitation of 6 government officials from Kemaliye to be hosted in Shangrila by the local authorities. In September 2009, YMHF and a delegation of 5 Shangrila officials returned the visit to Istanbul and Kemaliye. This was a great opportunity to share experience in tourism, craft, and heritage preservation between these two townships. Kemaliye is a charming village of wooden houses perched on the rocky mountainside above the Kemaliye River, a tributary of the Euphrates River. The people of Kemaliye enthusiastically welcomed the Shangrila delegates with traditional hospitality, tours, home visits, and wonderful feasts. There were discussions sharing experiences in attracting tourists, developing crafts and protecting heritage and customs in the face of needed sustainable income generation. Shangrila invited coppersmith craftsmen from Kemaliye to Shangrila to teach copper engraving to local artisans. Other interchanges are also under discussion such as introducing Kemaliye’s crafts in China and how to balance tourism and heritage protection. 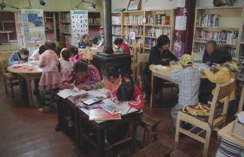 Our Center continues to offer free English conversation and grammar classes. Summer time brings larger numbers of young students to our language classes. 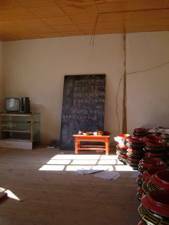 More than 60 students come every day to study with us. All classes are organized and taught by our volunteers. This summer we have had three students from Macao Tourism Institute as well as our summer manager who have been very successful teachers at the Center. 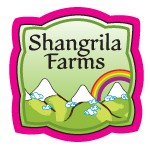 Shangrila Farms is our “sister” company, based in Beijing. 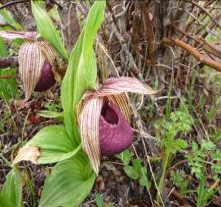 It is a marketing company featuring Shangrila Farms Coffees, organic honey, and beauty products. As part of the Shangrila concept, the company also promotes crafts and projects from YMHF that feature Shangrila heritage and multicultural population. They supply crafts for buyers in Beijing and also represent our crafts in local fairs. Shangrila Farms staff regularly pitches in and helps with YMHF projects and publications. Shangrila Farms Coffees, honey and Shangrila Botanical products are sold in our Handicraft Shop in Shangrila and are popular among our clients. From 2006 until today, YMHF has sponsored numerous events and projects. All of these ventures have been more successful than we could have ever dreamed. Fueled by the enthusiasm of our dedicated staff and volunteers, the projects have given youth, women, rural poor, and artisans a helping hand and links to the world. We hope that the 2010 Newsletter provides a sketch of The Yunnan Mountain Handicraft Center’s activities this year and reflects our gratitude to our volunteers, generous donors, visitors to the Handicraft Shop, and all the friends who have shown interest in the Handicraft Center.